Are you looking to advertise your franchise? Then consider advertising on whichfranchise. Established over 20 years ago, whichfranchise.com, the official online partner of the British Franchise Association (bfa), has helped literally hundreds of prospective franchisees find the right franchise for them. We have built strong and lasting relationships with franchisors and franchise industry experts, many of whom have acknowledged our effectiveness in franchisee recruitment in the testimonies below. Reading these quotes will allow you to see why we are still the UK's number one franchise website for franchise advertising. “We’ve been working closely with whichfranchise for many years now and for very good reason. The website is full of useful, impartial advice that should be noted by every prospective franchisee. Like the bfa, whichfranchise focuses on educating and informing its readers, not on selling them something. The website includes features and interviews that can’t be found anywhere else from some of the leading names in the sector, and exclusively showcases bfa-accredited franchise brands that have demonstrated their commitment to franchising ethics, rather than simply promoting any business willing to pay for the privilege. That alone should tell you everything you need to know about the quality of information on offer. We’re proud to call whichfranchise our official online partner. “We are delighted to be a lead sponsor of whichfranchise.com, the official online partner of the bfa. whichfranchise.com provides potential franchisees with vital information and guidance to help them make one of the most important decisions of their lives. “Lloyds TSB has supported the whichfranchise.com website for many years as it provides an essential source of sound advice and information for people looking to research investing in a franchise opportunity." whichFranchise.com is an ideal and expertly handled site, consistently providing us with quality leads. Some of those enquirers have gone on to become integral members of our franchise. They should also be praised for giving clean and simple information to potential franchisees, making it easy for them to discover our company. We have worked with them for quite some time now and would recommend their partnership to other BFA-member franchises. Gas-elec have enjoyed a professional and enjoyable all round relationship with whichfranchise for many years now. We have advertised on whichfranchise for a number of years and it is has become a key element of our franchisee recruitment marketing plan. The site always has useful and informative content for franchisees which helps people to make informed career choices. We’ve tried many advertising portals over the years and whichfranchise has been one we’ve continuously advertised through. The quality of leads is of a high standard. Enquiries come through from people who are well informed and have a genuine interest in purchasing a franchised business. The articles that whichfranchise publish are unbiased and informative. The whichfranchise team members are super helpful, offering advice on what we as a franchisor could be doing to improve traffic through our pages, such as ensuring we provide regular news stories and feature articles. 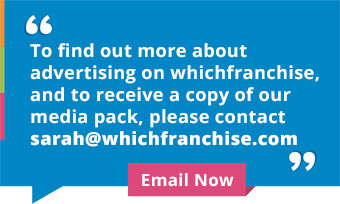 We have always advertised our franchise opportunity with whichfranchise. This is because we believe it is one of the main sites people go to for not just information about particular brands but for information about franchising itself. One of the other reasons is we are looking a growing our franchise network in Scotland – we believe whichfranchise can help us do that with the brand presence they have there. We always find the team helpful and have often found their advice invaluable – in particular around resales. We've been working with whichfranchise for a number of years and they have consistently generated good quality leads for us. The whichfranchise team has also been a pleasure to work with. We believe that whichfranchise.com is an invaluable source in providing individuals with franchising information that ensures they make an informed decision about their future. "We thank whichfranchise.com for quality leads and for helping us in our expansion to Scotland. Our master advert on the site provided us with many excellent enquiries, and from this we managed to secure our Master Franchisee for Scotland!" “At Snap-on Tools we consider whichfranchise.com to be a valuable asset to our recruitment programme. This year a number of our new franchisees have used this website on their journey to joining Snap-on. Recruitment has a fundamental role to play in growth our business and the which franchise.com website helps us to achieve our goals”. "The whichfranchise.com website is a vital ingredient in our on-line marketing and recruitment mix. The considerable offering of free and independent advice on the site which is easily navigated is invaluable to the prospective franchisee. We believe this to be a crucial element in providing the qualified leads we receive from whichfranchise.com. Their support team is always happy to accommodate day to day content management requests. Their new and contemporary website along with its varied resale categories such as Women in Franchising showcase the innovation behind a website that truly understands the franchise market." "We have been using whichfranchise for a number of years now and they are one of our main sources of quality leads. We are impressed with how quickly the team at whichfranchise.com update our profile within hours of our request. We would not hesitate in recommending whichfranchise.com and see it as an integral part of our future marketing and recruitment campaign." “whichfranchise.com continually proves to be successful for Select Franchising in generating high quality enquiries. We have continued to work with whichfranchise.com for many years, their site is informative for both franchisees and franchisors and the team always provide a great level of customer service to us!"